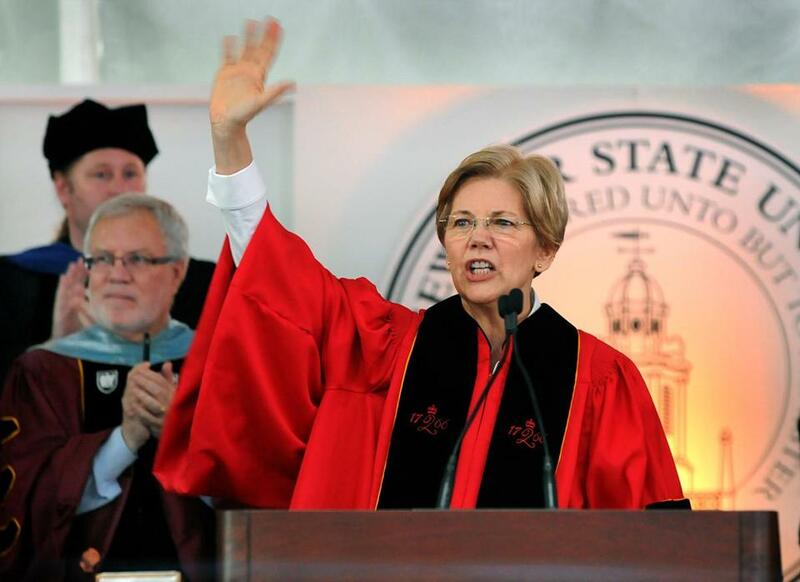 “As one of the great philosophers of our time [singer Taylor Swift] has said, ‘Haters going to hate, hate, hate hate, hate.’ Knowing who you are helps you, ‘Shake It Off,’” said Senator Elizabeth Warren at Bridgewater State University. As the tassles keep turning, a recap of some of the notable commencement speeches in the area over the weekend. “Class of 2016, we want you to feel confidence, your creative confidence. Because you have both deep talents and now extraordinary training—and our world needs your confidence now more than ever to bring your innovative brilliance forward. And there’s a lot of bias in the world working against you, against women, against people of color, against LGBTQ people, those who are different in some way, against majority men who would show different sides of themselves. It causes talented people not to realize their full potential. “Imagine big things, but always start very small, as small as you can get. Your first step will make this all happen. Limit yourself to a tiny little social change and make that happen. It’s easy.